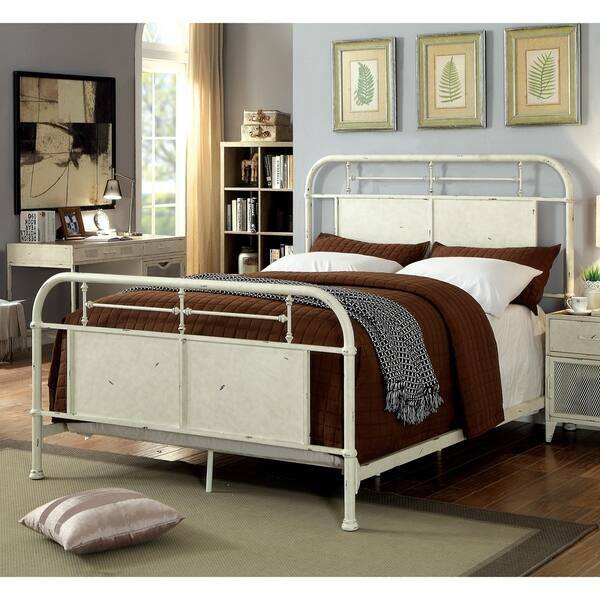 The Furniture of America Beltran Industrial Vintage Metal Bed has a beautiful distressed finished that gives it a character all its own. The open framework and subtle metal rod embellishments add another layer of wonderful detail. Additional metal legs underneath the bed provide support. Dimensions 88.88 In. X 75.5 In. X 53.63 In.